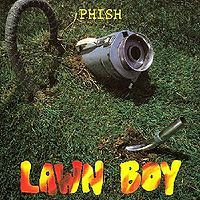 This show was a New Music concert sponsored by WBCN in Boston and included The Levelers, Material Issue, Michael Penn, The Spin Doctors, and a comedy troupe that was booed off stage before their time expired as the impatient crowd clamored for Phish. After Cavern, Trey said that it was his childhood dream to play for the Boston Bruins and this (performing at the Boston Garden) was as close as he would ever get. 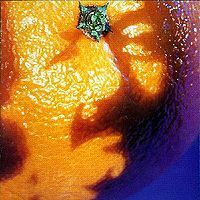 YEM was preceded by a Somewhere over the Rainbow tease by Trey and a Simpsons signal and included a Jean Pierre tease from Trey. Just a little FYI. The comedy troupe included a young Dane Cook. He actually talked about doing this show on Letterman (?) I think. He said that he opened for Phish one time at the Boston Garden and they booed him and everyone else of the stage haha. My first show was memoriable. My roommate had gotten floor tickets and we basically went for something to do on a Friday to start the Halloween weekend festivities. I was coming off summer Dead tour and was anchored to only local shows due to school. The comedy was weak. Michael Penn was alright but really couldn't carry the size and mood of the room. Spin Doctors threw down ( as hard as it is for me to write that) and then Phish hit the stage. It was about this time that my roommate was kicked out for smoking but was able to do the handout on his way out. The rest of us had a great time. The band played solid, sounded good and confident. I tend to remember the Rift material due to my familiarity with it at that time. Trey commented about always wanting to play the Garden. I made it to Great Woods the following summer and then left the scene for an extended period of time. Nice introduction into many decades of enjoyment. Wow! After two months off to work on Rift the boys hit the stage for an almost Halloween show in Boston. This is a very boomy recording from the Garden. Not too bad but, you can't hear any of the intricacies in the music, or the screw-ups for that matter. Nice solid Jim to open up. They sound fresh and ready. Right into a ripping Maze. Really good tonight. Bouncing is pretty standard. Rift is a little loose sounding. They didn't quite lock in on this one. Not sure how the monitors were, like they couldn't hear each other. This one is on fire too, super fast tempo. Cavern is standard plus a bonus vacuum solo, then the last note. I love Trey's story about wanting to play for the Bruins although in his older years he is quite the Flyers fan. Coil is pretty good. No real problems. Nice Page outro as usual. Stash is a really good jam. Well done tonight. Adeline has a funny intro as they get their voices ready. 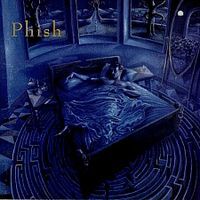 Almost sounds like a Somewhere over the Rainbow tease from Trey before the Simpson's theme. YEM has a few loose parts but is otherwise a pretty tight version. The vocal jam features the word "tobacco" and blatant yelling. Just enough fun to end a great set. Overall, very well done for their first performance at the big Garden venue. Well played and very fresh sounding after the two months off. I was a senior at a NH college & had heard PH!SH before but didn't really get them. I went to see the Spin Doctors I was blown away by PH!SH. I was going on Dead tour as much as possible but I went out og my way if need be to see the boys. My first comment was, this is awesome, there are no Bobby songs ! When am I going to go pee ? 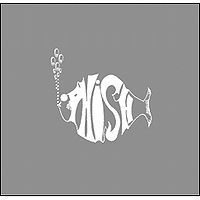 My first Phish show happened years after I'd been hearing their studio albums from friends and classmates. I'd settled into a steady diet of Grateful Dead shows, so it made sense to go check this younger, Dead-ish scene out. A friend of a friend scored some tickets really close to the stage that Phish played on. I actually knew the Spin Doctors' music better, but found myself caught up in the intensity and camaraderie of the Phish fans around me. The comedians deserved to be booed off the stage. Considering how short their set was, it ended up being a good enough dose to get me going back for more. These guys were closer to my age than the Dead, and I could see the influences of the same music that I'd grown up with. It was all there--the hard rock, the psychedelia, the poppiness and the straightforward rock and roll. Fishman's vacuum solo was a strong indication that they'd have a lot more to offer as their career progressed. It was the show that put the hook in for sure. 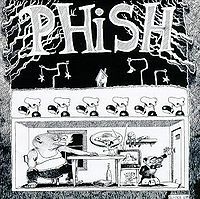 Same comment posted for 7/11/92 show: It was either this show or 7/11/92, but for Cavern->Vacuum Solo->Cavern, while Fish came out to play the solo, the band had stopped playing, but in addition, Mike was (I believe) leaning all the way forward while Trey was leaning all the way back, neither 'moving', and Trey was there for so long I remember thinking he must be breaking his back...I don't recall what Page was doing, maybe slumped over his keyboards? After Fish was done, and he returned to his drum kit, those three resumed normal position and finished Cavern without saying a word and acting completely normally. I remember thinking that's a weird little 'show inside the show' thing happenin'. Love it! Sounds like some guy yelling "Incoming...oh no.....incoming!" during the cymbal intro to Maze. They knew that this song destroyed faces almost every performance back then. You have to type the ampersand in as the symbol is apparently not allowed on .net posts.